This is also a very old man in Xunwa Village. And even though he is very old now, he comes to the Mani Hall everyday (a public hall where villagers conduct religious affairs). He told Lumo Tsering, the project manager, that even though he is not going to have the chance to meet the donors of these solar lights, he will pray for their happiness. He also gave Lumo an apple to show his thankfulness. 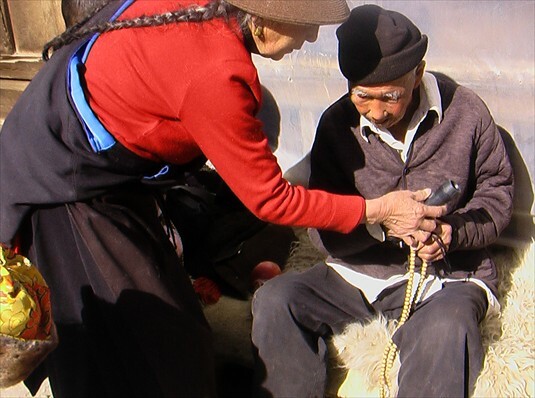 Right after the project manager, Lumo Tsering (Corrine) explained to these men how to use the solar flashlights, these two old gentleman are now repeating the usage back to each other again to make sure they understood correctly. 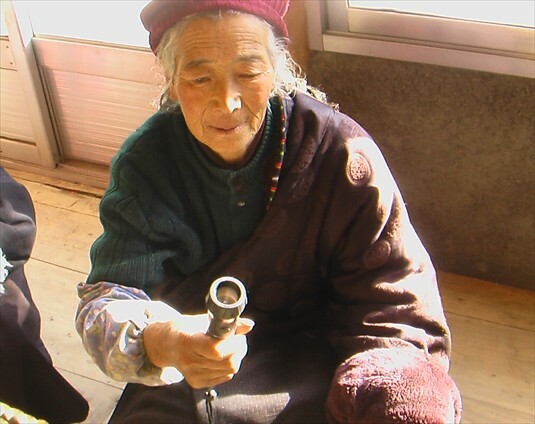 Project Manager, Lumo Tsering of Shem Women’s Group gives a solar flashlight to a woman in the Rdo Sbis Township. This woman said many auspicious things to Lumo and to the contributors of the Solar Light Project, and thanked Lumo for doing good things at her young age. 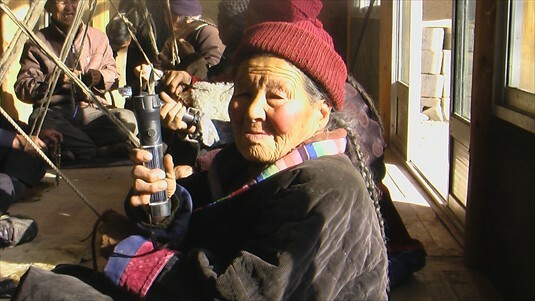 This woman’s name is Tsering Tso and her family is also extremely poor. Her family has been working very hard to send their children to school. One of their grandsons is already in the university and they have great hope for him. Because they are poor, they are very appreciative of receiving a solar flashlight. 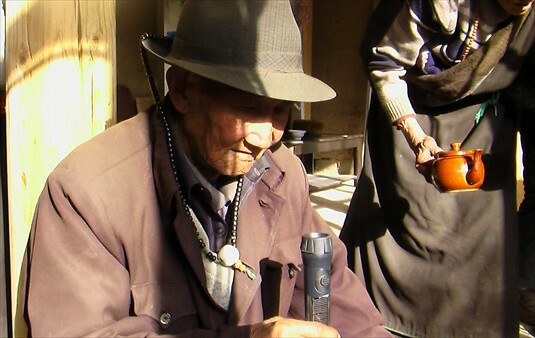 A solar flashlight is being offered to a man named Xire. 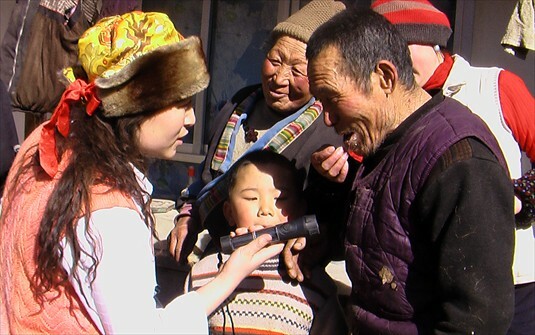 His family is very poor compared to the other families, and his family is very happy to receive a flashlight. 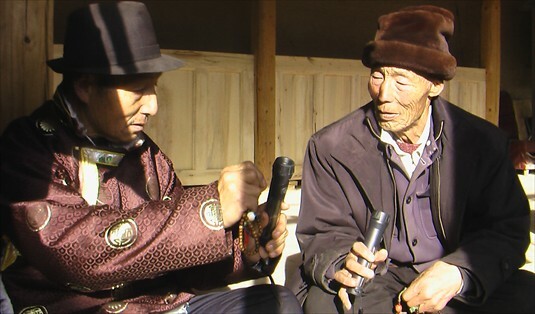 This man is the oldest man in Xunwa Village. 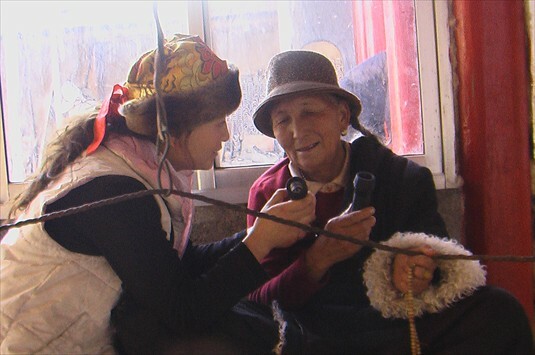 Because his eyesight is not very good, the grandmother (on left) of Shem Woman’s Group project manager, Lumo Tsering, suggests to Lumo to offer him a solar flashlight. Here Lumo’s grandmother explains to the gentleman how to use the light. 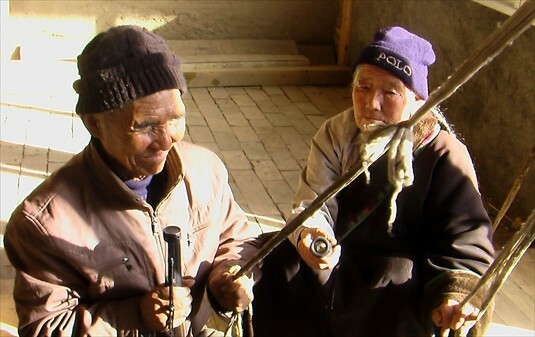 These two old people are also from Xunwa Village. They received solar flashlights while gathering together in the village Mani Hall (a public hall where villagers conduct religious affairs).